I’m sure we’ve all heard about the infamous juice cleanse. It’s been popularized in television and plastered across the internet with claims of weight loss, detoxification, and heightened senses. There’s a huge community of juicers, and there are several juice bars near me. Last week, I was feeling pretty off. 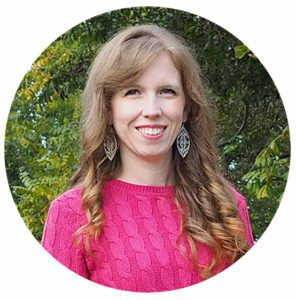 My digestive track was a mess, and I was really feeling like I need to reset my body. So I did it. I took the plunge and did a juice cleanse. The following is my brutally honest experience. Now I did my research. I knew if I was going to do the three-day cleanse, I needed to do some prep by changing my diet beforehand. But I’m also going on vacation on Saturday and plan on eating fish and chips every day for a week, thus undoing all my hard (and expensive) healthy habits, so I opted for a one-day cleanse with minimal prep instead. So Wednesday morning I picked went to the juice bar and picked up my juice for the day. I felt optimistic. I felt excited. I felt ready to take charge and rid my body of toxins that were slowing me down. Juice # 1 was dubbed C-blast. Orange. Kale. Lemon. Mint. Felt like brushing my teeth. The following quotes are from the notes I took throughout the day. Indeed it’s true. I had to put myself on a time schedule to get each bottle down. I allowed for one hour per bottle and kept my pace: 1/4 every 15 min. At noon I conquered my monolith. Beet juice. “First sip: borscht.” And that was the best sip. The next 300 sips I had to alternate with lemon water, and I managed to finish on schedule. Though with the extra water, I was bursting at the seams and had to pee twice within 45 minutes. It’s amazing how fast it goes through you. Third juice: Skinny greens. This bad boy of course had kale in it, and included a kick to the back of the throat with cayenne and ginger. It started out strong, but fine. And quickly deteriorated. “So. Much. Juice.” I came so close to finishing this bottle, but just couldn’t put it down. This is where I began to hit rock bottom. The rest of the night was pretty horrible. I’ll let my notes from the next day explain. “I couldn’t finish all the juices. There were seven! I had a terrible headache and was starving so I ate cucumber, avocado, and banana for dinner and some broth. I was really craving hot food. It was too late. I got a migraine and threw it all up while simultaneously experiencing the side effects of drinking veggie juice all day. 9-10pm was a real bucket of fun. This morning we had eggs and strawberries, and I used the raw almond milk from my juice cleanse package to make a smoothie with some frozen berries. Still not particularly appetizing. I packed raw fruits & veggies for my lunch/snacks as needed, and I brought my last green juice – Green detox. It’s disgusting. Skyler and I were really puzzled over why someone who makes juice as a profession can’t make something that tastes good. In fact, we were laughing hysterically over it when he picked me up from work. Really. Hysterical laughter. After not having food all day, our emotions were a bit frayed. So, has anyone else had better success with a juice cleanse? Ultimately I’ve decided that this form of extremism is not for me. My body just can’t handle it. Hypoglycemia is one of my many migraine triggers, and I need to be more careful with changes to my diet & eating patterns. But the craze intrigued me, and I wanted to do something healthy to reset my body. Next time I’ll go raw for a day or vegan. But there will be solid food. I did a 7 day juice cleanse. I felt great but by the 8th day I could take no more!! I felt amazing, dropped 10 pounds, but sooo wanted hot food that you chew and swallow. I can’t even imagine going a whole week! Incredible! I was gagging at the thought of juice…. I pretty much eat constantly. I feel like a bottomless pit sometimes, always hungry, never full. The one day cleanse alone just about killed me. 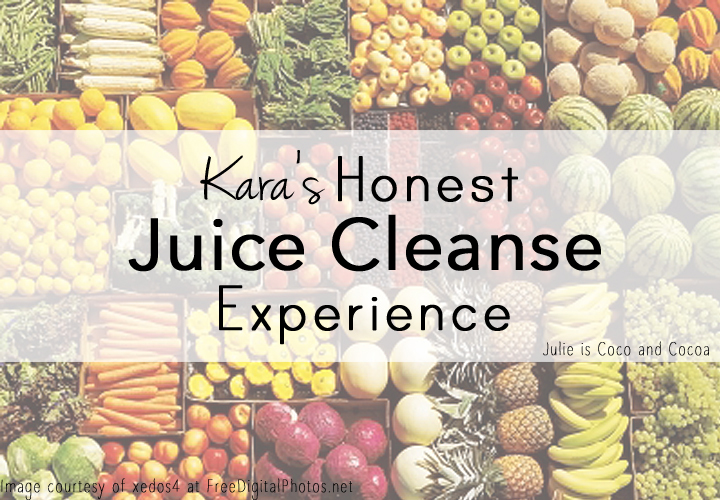 I had been thinking about doing a cleanse but it sounds like you had an absolutely terrible time with it! I’ll definitely be doing more research before I decide! Thank you for your honesty on your experience! A juice or smoothie a day is a much better goal. I still need to work on that. I’m not sure that I could ever do a cleanse like this. I would be WAY too hungry after missing the first meal! There are definitely much better, less extreme options. Replacing one meal, or just adding a juice would still be super good for you, and much more doable! I am a hangry nightmare when I don’t eat enough. Seriously – I try to eat 5 meals a day. Don’t know what possessed me to give up food for a day! I too, loved the “so much pee” line. lol Thanks for your honesty! Juice cleanses are tough! I have never tried juicing but I feel like I would react the same way you did. I need food like legit food. I have been trying the slim fast powder and skim milk – I drink 16 oz of it a day – 8oz for breakfast then maybe an orange and a cheese stick at around 12 then another 8oz at about 2:30 then maybe a yogurt at about 4 and it seems to be working – it doesn’t do exactly like the juicing where it cleanses you but it seems to do the trick. I’ve definitely done slim fast a few times. I like not having to think about what I’m going to eat & their snacks are pretty good, too. Good luck! I’ve done a 3day juice cleanse a couple of times and I’ve always enjoyed them. Don’t get me wrong, they are hard and you hate the fact that you can’t just pick up a pack of cheez-its, but I really found them worth it. They gave me a good reset and cut out my junk food cravings. Fortunately I kicked the worst of my junk food habits a while ago. My body just cannot handle junkie snacks or fast food anymore. I was looking forward to promised benefits of the juice cleanse like glowing skin – oh well! I’m impressed by your multiple juice cleanses! This sounds awful. I’m curious what brand of juice cleanse did you get?